As host Pat Donahue has often traveled around Australia, we thought a set of Aussie Shiraz might be interesting for this month's tasting. We assembled wines from a range of producers. 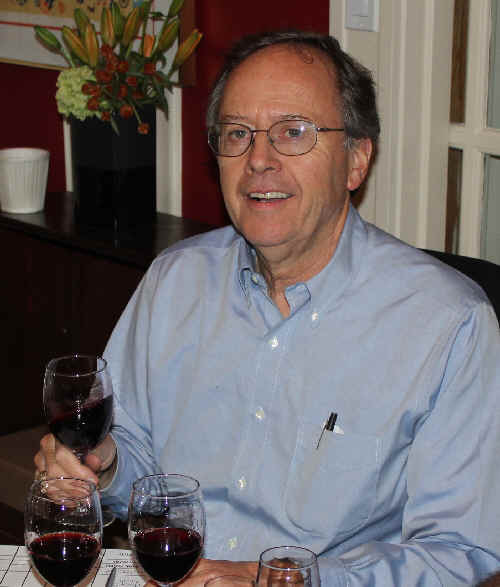 John Duvall, having had 29 years as a winemaker for Penfolds, might be a good starting point. Langmeil, a highly-regarded Barossa Valley producer was included, as were famous brands such as Peter Lehman and Wolf Blass. The wines ranged in price from $15 on the low end, up to Mr. Duval's $42 bottling called "Entity." There was a collaborative project between an American firm and the famous French producer Chapoutier. So we had a prospectively good bunch of wines. One wine out-paced the field by a good margin, though our second place wine was on its heels until one taster, blinded by its being in the "A" (first) glass, ranked it last. 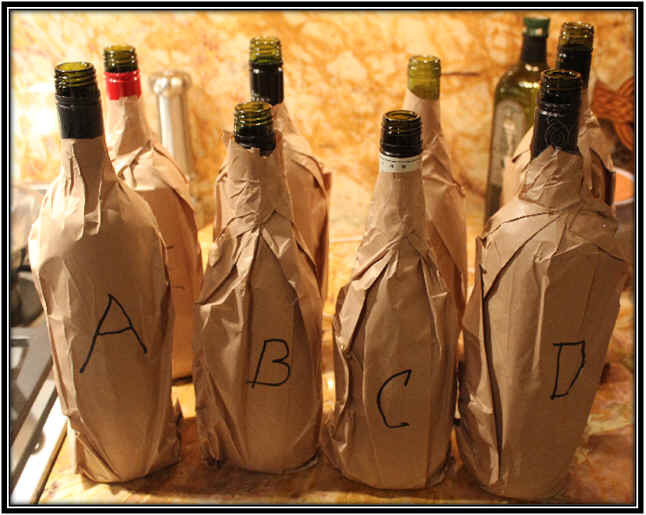 Seven of the bottles were finished with a screw cap closure. One was cork-finished and, sadly, that bottle was "corked." Yet the corked wine had only 5 of the 9 last place votes! Overall, the wines were of good quality. 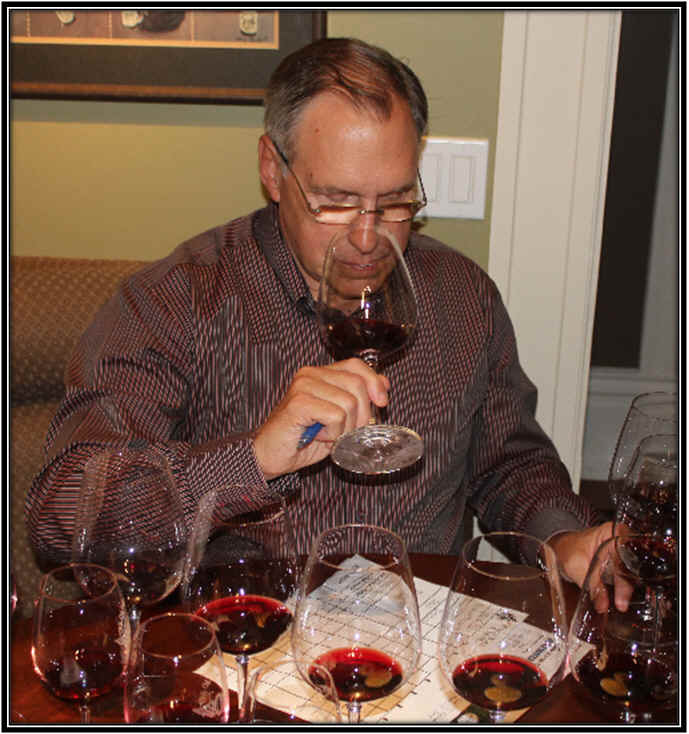 And they were within a fairly narrow band of quality, making the tasting a challenge for those evaluating the wines. We had seven bottles finished with a screw-cap closure and this one was a cork-finished bottle. And it was corked! Musty. Tainted by its closure and spoiled, though 4 tasters found the corked wine to be superior to others which were not plagued by this issue. I tasted the wine anyway and it seemed to be a medium-light bodied rendition and styled along the lines of a fresh, fruity little Crozes Hermitage or, perhaps closer, a Southern Rhone. Anyway, must re-tasted to make a proper assessment. 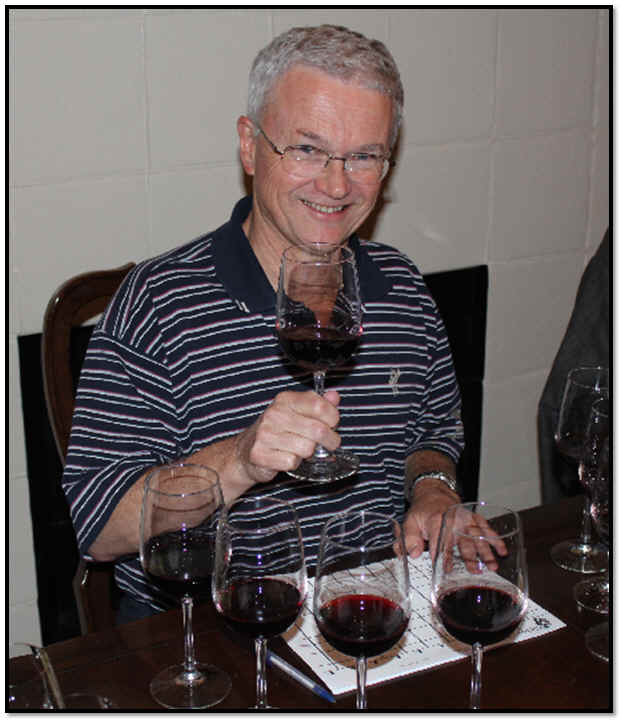 Mr. Duvall spent a number of years at Penfolds and was even in charge of making Grange for a number of vintages. 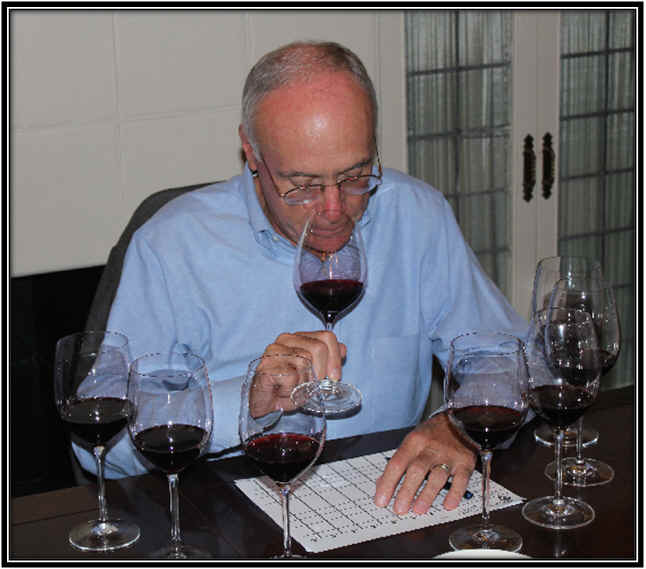 It's clear he didn't steal the recipe for Grange, though, as this wine is a far cry from the magnificent Penfolds' wine. 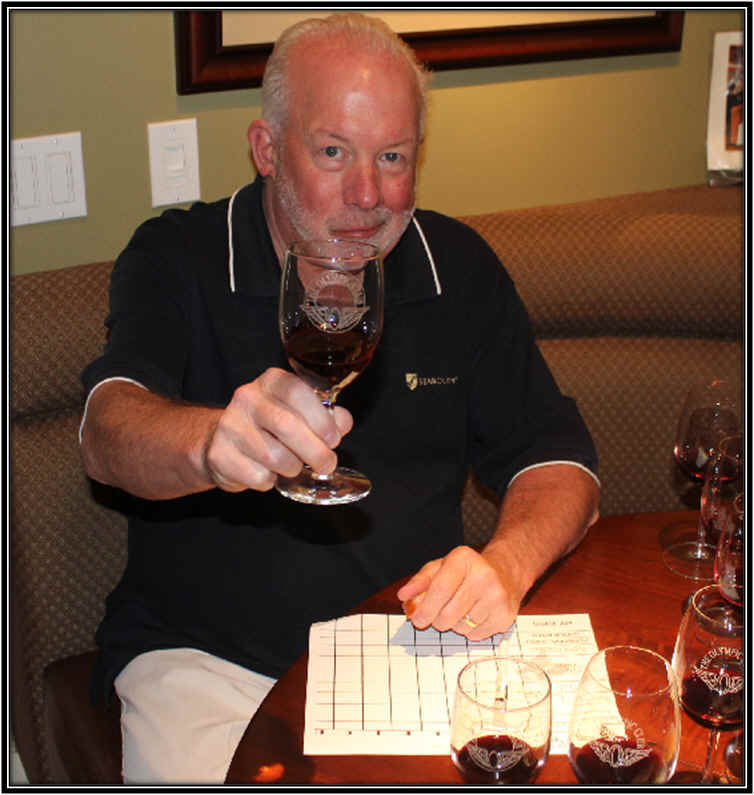 I ranked this higher than did our group of tasters, as I found a clear wine with medium-deep purple color. It shows nice dark fruit aromas and a light touch of oak, but it's a more subtle wood treatment than Grange. In fact, this was in French barrels, not American. It's dry and mildly acidic, with medium+ body. I found it to be a bit soft and plush/lush on the palate. Very drinkable now, in fact. I gave this a one-and-a-half-star rating on my three star scale, no stars being an ordinary or standard wine. Clear in appearance, this wine was fairly deep ruby in color. I liked the dark fruit aromas and found a touch of spice here, too. There was a bit of oak and as it aired, it seemed to become more mocha/coffee-like. This was dry, though and had reasonably good acidity. Medium-full to full-bodied. It's a ripe, big, somewhat briary, fruity red wine...interesting and satisfying and rather ready to drink. One and a half stars...it's another wine I liked more than did the group. Very dark in color and clear in appearance, there's dark fruit notes here but I can't say I found "Syrah." It's a dry and medium acidic red with fairly full body...this is a bit hot, though, and I found it to be simply big, ponderous red wine. Maybe it will charm a snake, but I didn't find it terribly charming...It's rather ordinary, apart from the garish, comic book label. No stars. Clear in appearance and medium+ ruby in color, this was a lovely wine...dark fruit aromas and a hint of licorice on the nose. There's a spice note here as well. It's dry on the palate and moderately acidic with medium+ body. For what it promises on the nose, it offers even more on the palate. I liked the red raspberry sorts of flavors and it's long on fruit. The balance is good and this was a marvelous wine. Two stars! Very good. Dark in color and clear in appearance, this offered reasonably nice fruit on the nose with a mildly woodsy tone. It's dry and medium-bodied. The wine is rather full-bodied and it's fairly tannic, a bit of a surprise once unveiled, as Peter Lehman is a "big" brand these days. I marked it down for being a bit hot on the palate, but it's a reasonably good wine in any event. It might benefit from some bottle aging. One star+. Deep purple in color and quite clear in appearance. This wine was terrific to my tastes...lots of beautiful dark fruit fragrances and some nice wood on the nose. It's dry and of a medium level of acidity...quite full on the palate without the heat or ponderous qualities of some of the wines. Woodsy, bright fruit and wonderfully berryish on the palate...very showy and polished. I gave it two stars+. 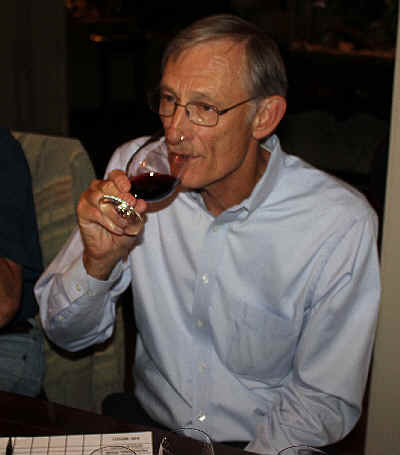 It was just a few points behind the group's first place wine until one taster ranked it last. Special. Inky purple in color, this wine was clear in appearance. It's woodsy and shows nice dark fruit aromas. It's dry and moderately acidic, being fairly full-bodied. It's certainly a crowd-pleaser, with dark fruit flavors, mild tannins and a big impression on the palate. Certainly drinkable now, I suspect it has limited cellaring potential, but for immediate drinking, this is quite good. I gave it a one-and-a-half star rating...pretty much the same as my third and fourth place wines which I felt both had a touch more 'soul' than did this wine.